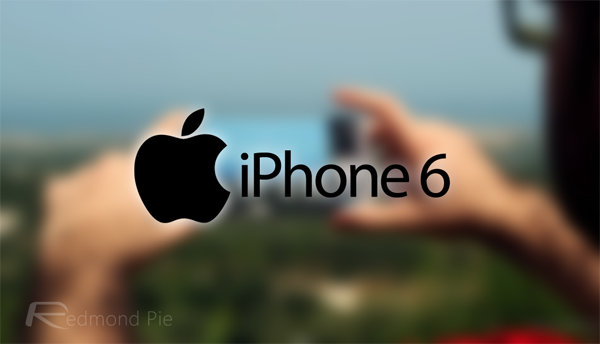 When Apple announced the iPhone 6 and iPhone 6 Plus it also announced the inclusion of a new chip, the M8. The successor to the M7 that was found in the iPhone 5s, Apple’s M8 is the processor that handles all the data that relates to movement and relative location while using the minimum of power. The M8 is what makes apps like Health and associated utilities possible. One of the biggest changes from the M7 to the M8 is the addition of a barometer, which will help the phone know things like how many flights of stairs have been climbed thanks to its ability to measure the air pressure around it. For the uninitiated, barometers are used by meteorologists to measure atmospheric pressure, which helps them to provide more accurate short term changes in the weather. It also makes the iPhone more aware of its location, which comes in pretty useful. One of the apps that aims to take advantage of the barometer in particular is simply called ‘Barometer+widget for iPhone 6,’ and while free there is a $0.99 in-app purchase that is required to unlock the app’s secret weapon – a widget. 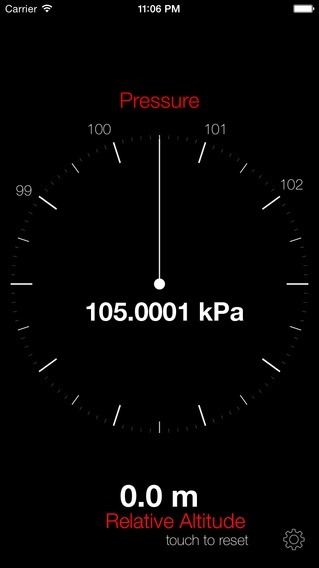 The app itself does exactly what you would think, and gives readings of the pressure that the barometer senses. It has configurable reset points too, meaning you can put the phone on a table, hit reset and let the barometer try to take atmospheric measurements and estimate the distance the phone has travelled when you use it. Think of it as an inaccurate tape measure and you won’t be far off what this thing can do. The widget puts the pressure reading front and center in the Today view in Notification Center, so if that’s the kind of data you find useful then it’s probably well worth the dollar asking price. If it isn’t the kind of data for you though, you’re probably not downloading a barometer app anyway. 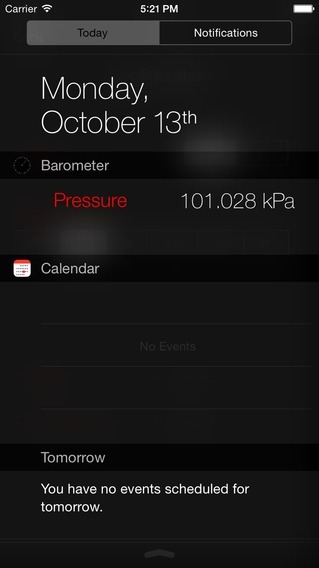 Barometer+widget is free on the app store now. App is free WIDGET is not! This site is giving about 800$ daily. You can just do this simple task daily from home and have more time with friends & family; Its the most-financialy rewarding I’ve had. It sounds unbelievable. Its best site that i found till now.